The Dekoni Audio Sheepskin Earpad for the Massdrop X00 headphone has been such a hit on Massdrop that Dekoni decided it was time to produce an Attenuation Ring to go with the ear pads to tighten up the sound and even out the headphone using Dekoni Pads. The Attenuation Ring is a great addition to the Dekoni Pads and a must have anyone who wants a quick and easy mod. 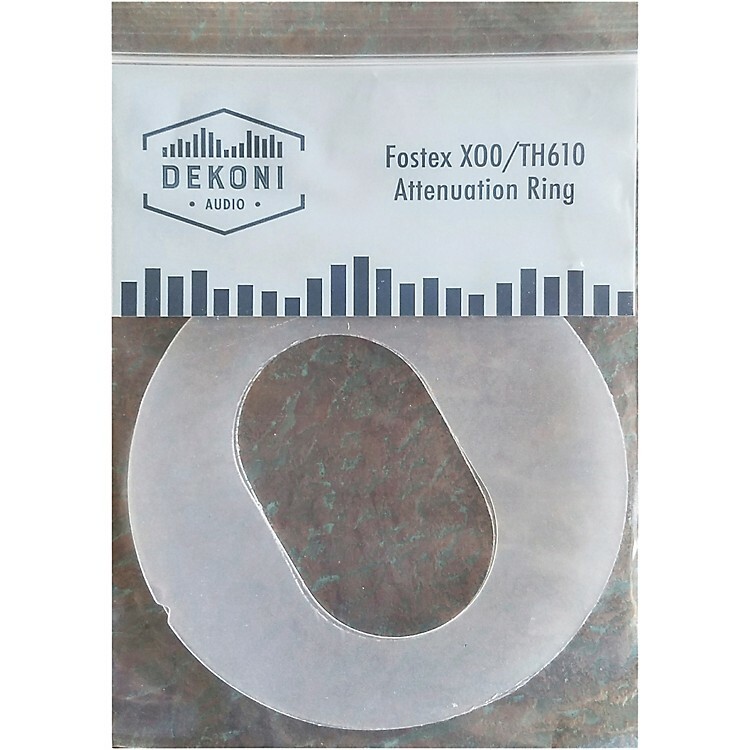 Just slip it into your Dekoni X00 Platinum or Elite pad right behind the Attachment ring, make sure the holes align properly, and experience the difference for yourself and decide if you like your Fostex Massrop Headphone with or without the attenuation ring better.